We have been an established training company for around 15 years. 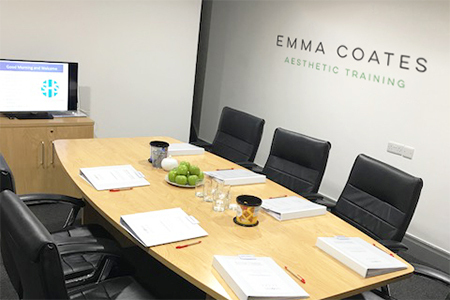 We were the first training company in the UK to teach beauty therapists to carry out mesotherapy treatments. We have taught thousands of delegates, many of whom now run their own training companies. We pride ourselves at being at the forefront of advanced skin therapies, partnering with global leading brands and the best trainers in the UK. New courses are always being added so watch this space. With 20 years practical experience, we are experts in this field and constantly strive to improve and develop ourselves in order to improve our service to you. Emma Coates is a registered nurse with a wealth of experience in the medical and non-surgical sector. She oversees and monitors all the training courses and has collaborated with industry leaders to develop and grow the business. Emma is passionate about all things skin related, from skincare and devices to machines, her other passion of course is education. Our aim is to help you reach your full potential, to broaden your educational horizons and share knowledge in a friendly, personal, professional environment. We would be delighted to welcome you, offer ongoing support and watch your business grow as you become skin experts.